Luke Ferretter’s Sylvia Plath’s Fiction: A Critical Study (University of Edinburgh Press) is a visionary, meticulous, and necessary work. It is a book both long overdue and ahead of its time. It is such a good book that there is no possible way I can see to write a review that could attempt to do it justice. In Sylvia Plath’s Fiction, Ferretter provides “close readings of Plath’s texts...in their historical and cultural contexts, of the significant place that Plath’s fiction plays in the vast, diverse and powerful body of work she has left us” (15). In each of the five chapters, plus the introduction, Ferretter gives a very careful and clear reading; a realized look at this under-studied genre of Plath’s. In the introduction, he gives a breakdown of Plath’s stories by time period, as a way to identify the works he will discuss and to provide an authoritative chronology of their composition. This chronology is an immensely useful tool. For the uncollected or unpublished stories found in the various Plath archives, Ferretter gives conscientious summaries in lieu, unfortunately, of quoting directly. The chapters on the Politics of Plath’s Fiction (3), Gender and Society in The Bell Jar (4), and Gender and Society Plath’s Short Stories (5) each achieve their arguments. Inspecting Plath’s work through the multifaceted discourses of historical or cultural or political frameworks brings the reader closer to Plath and closer to the spark of the stories (or of the poems) creative inspiration. At least, the way in which this book is written it certainly does. It is as indispensable as reading the creative writing alongside of Plath’s journals or letters or even through a consideration of the books she was reading concurrently. The only criticism I can come up with is that many of the works discussed, though accurately summarized, will be unknown to some of its readers. This is certainly something Luke considered as he approached this text, in fact his awareness of the obscurity - for lack of a better word - of some of these works is evident throughout the text. However, this relative obscurity is not an insurmountable set-back. I wholeheartedly encourage - no demand - that Plath’s readers with an interest in this Ferretter’s book write to the archives in which these stories are housed and request photocopies. It will broaden your appreciation of Plath’s talent and of dedication to her craft as well as your enjoyment of the book. You can find links to archival repositories holding Plath materials on my website. 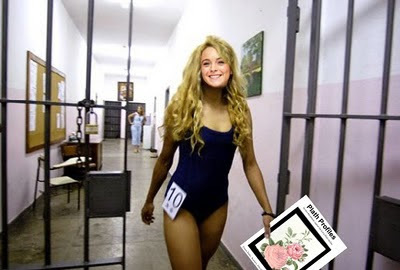 Ferretter gives an expert and much needed inspection and evaluation of a highly under-evaluated area of Sylvia Plath’s oeuvre. Read everything. Please. Read the footnotes, which are an inspiration, and read the back-of-the-jacket copy for astute comments by Langdon Hammer and Karen V. Kukil. This book is an achievement and a success and I feel sorry for anyone who skips it. 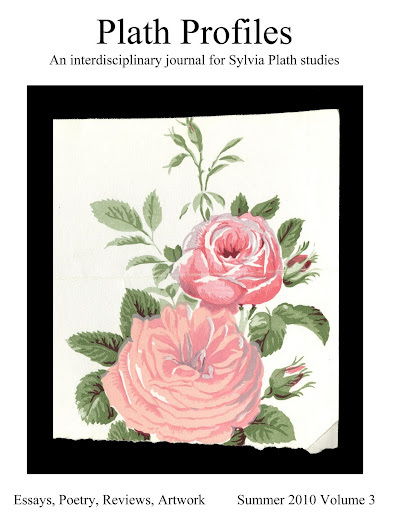 A few of you may have read my paper "'They Had to Call and Call': The Search for Sylvia Plath" in Plath Profiles 3. For this article, I used microfilm and internet resources to create a bibliography of articles on Plath's first suicide attempt on August 24, 1953 that vastly increases the known publications which ran the news story and builds upon those articles presented in previous bibliographies. Microfilm is presently the best resource we have for searching through older newspapers; and whilst it is not the sexiest technology out there it certainly does serve a good purpose. However, some genius decided to scan obscure & not-so-obscure newspapers from microfilm, run OCR, and make them searchable via Google News Archive. There are other tools for this kind of thing, such as ProQuest Historical Newspapers and others. However, since Google News Archive is largely free and doesn't require a subscription, this is one of my favorite tools and will greatly enhance the availability of older materials out there on Sylvia Plath (and probably other subjects but who cares about those!). This of course will benefit current and future research projects. Sylvia Plath (in general); August 1953; Bell Jar lawsuit (1987 January & February); Gravestone controversey (1989, April & May). And of course there is much more including book reviews and like today, many articles just name drop. Not all of the articles are free, but you are typically given enough information to then go and visit a library or request the article via interlibrary loan to save some money in your purse or wallet. This is an amazing research tool and I hope you enjoy using it as much as I have! There will be a poetry performance dedicated to Ted Hughes and Sylvia Plath, starting at midnight on Aug 20th within the ‘Night without Punctuation’ of Struga Poetry Evenings, held in Struga, Macedonia, from August 19th through 22nd 2010. The poetry will be performed by the Macedonian poet Irena Pavlova De Odorico. In 1994 Ted Hughes was the Golden Wreath award winner of Struga Poetry Evenings, and, as the practice is, he personally received the award. This prestigious award is presented to a world renowned living poet for his poetry and his deed. The festival, which began in 1962, is one of the most distinguished international poetry festivals in the world. It is organized annually in the town of Struga, located at Lake Ohrid, the oldest lake in Europe. 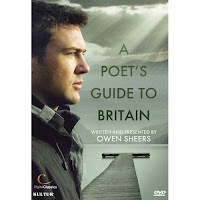 For those interested, Owen Sheers' A Poet's Guide to Britain is now available on DVD. From the description on Amazon's page, Plath's poem "Hardcastle Crags" is discussed; however, I recall when the program aired on the BBC, it was "Wuthering Heights". But regardless, the Plath program is about Yorkshire. You can read reviews and previous posts on this program here. The DVD came out about a month ago; sorry to be so late in posting about it. It is wonderful that it has been released as American audiences, and those of other countries outside of the UK, were unable to watch until now. Tickets for Two Plath Events on sale now! Tickets are on sale for both Robert Shaw’s Three Women by Sylvia Plath and Wish I Had a Sylvia Plath by Edward Anthony performed by Elisabeth Grey. Both shows are on at 59E59 Theaters at 59 East 59th Street, New York, New York 10022. Both shows are on from 5-31 October (see links above for performance times and ticket prices). Obviously the day to go would be Wednesday, 27 October. I’ve got mine; have you yours? Finally an interesting article in the news that relates to or mentions Sylvia Plath. Not that the Macedonian article reported yesterday isn't interesting. In "The Precious Unprinted Contents of Books", Sam Jordison at the Guardian Books Blog discusses marginalia. The article mentions Plath's copy of The Great Gatsby, which is written about in "Princess Daisy: A Description of Sylvia Plath's Copy of The Great Gatsby" by Park Bucker. Of course Plath's marginalia is but marginalia in the grand scheme of marginalia, but the subject is nonetheless an interesting one. In fact, it is the subject of a few full length titles, such as Marginalia: Readers Writing in Books by H. J. Jackson. The majority of Plath's books are held by Smith College, Emory University and Indiana University. University of Virginia has eight volumes too. Some are held privately by lucky people. Two contributors to Plath Profiles 3 successfully defended their doctoral theses this year and deserve a special shout out and applause. Kara Kilfoil, of the University of Calgary, recently successfully defended her thesis, “Birthday Letters: Annotations and Commentary,” earning a Ph.D.in English with specialization in Modern poetry. Congratulations to Kara; and if you haven’t already, please do read two sample annotations in Plath Profiles 3. You’ll find they open Birthday Letters in a whole new way.Oh, and that’s Kara, Dr. Kilfoil if you’re nasty. Earlier this year, Gail Crowther of Lancaster University, successfully defended her thesis “The Haunted Reader and Sylvia Plath”, earning her Ph.D. in Sociology. Paging Dr. Crowther, Dr. Crowther, you have a call on line 3. “Do you really think she’ll pull through...It’s really serious.” Gail has two pieces in Plath Profiles 3. The first was written with Plath’s friend Elizabeth Sigmund, and the second co-written with me. These two scholars both have completed some amazing, original research into the life and works of Sylvia Plath (and Ted Hughes and their readers). It is this kind of long-haul dedication which can continue to re-evaluate and re-vision Sylvia Plath. Thank you both for your work. Keep on Plathing! Also, Kristina "The Magnificent Macedonian" Zimbakova's Macedonian translations of "Daddy" and "Ariel" made headlines in a major Macedonian national daily newspaper. Congrats! Well, I thought I had seen it all. As many of you know, I scour the Interwebs for books, auctions, and other things in which to tempt you into spending your hard earned money. Well, then I stumble on an auction for my own book, the price for which I think has several too many 0's. Plath Profiles 3 Online Now! Plath Profiles 3 is online now! Wahoo! This is one of our best issues ever! Certainly in the top 3. Read Plath Profiles 3 now! Did you know that 55 years ago today, on 5 August 1955, Sylvia Plath and Peter Davison, by chance, met Irish poet Padraic Colum and his wife Mary at a bar in Woods Hole, Mass? Colum's poem "The Book of Kells" appeared in the July 1955 number of The Atlantic. Plath's "Circus in Three Rings" appeared in the August issue (pictured here). This is the (lo-res) cover of Plath Profiles 3! Plath Profiles 3 will be online by next weekend - over the weekend at the latest. To those of you who have emailed, left comments, or wished ill upon me/us, we apologize for the delay and we thank you for your patience.